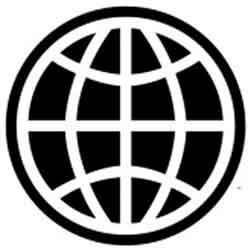 The World Bank has granted Tanzania a 75 million USD loan to support the country’s budget as part of its 40 year commitment to Tanzania through a 310 milion USD development loan that will go towards a variety of projects. “The continuation of budget support is an acknowledgement of the progress in implementing the first operation in the series which focuses on promotion of private sector growth and development and improvement of fiscal policy and management,” said Ministry of Finance and Economic Affairs Permanent Secretary Ramadhani Khijjah. “We are confident that we shall successfully complete the series because our reform agenda has remained on track” he added. The loan is to ensure macroeconomic and fiscal sustainability and to support reforms in Tanzania especially its financial management. The World Bank has supported Tanzania’s steady growth through grant aid, policy analysis and credits with focus on private sector as well as infrastructure development and continues to play a key advisory and supporting role in the East African nation’s emerging economy. The World Bank’s noted involvement with Tanzania included the financing of various projects spanning across Tanzania’s major sectors; agriculture, health, industry, energy, commerce and education and its 40 year loan commitment is set to add fuel to the nation’s transition from low to middle income status.